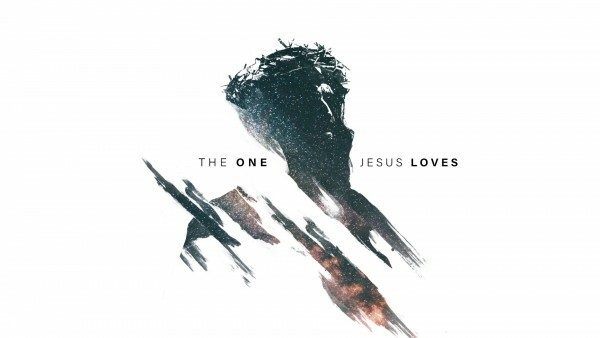 Listen to from The One Jesus Loves, Part 13: Feeding the Five Thousand Online. (John 6:1-10) After this Jesus went away to the other side of the Sea of Galilee, which is the Sea of Tiberias. 2 And a large crowd was following him, because they saw the signs that he was doing on the sick. 3 Jesus went up on the mountain, and there he sat down with his disciples. 4 Now the Passover, the feast of the Jews, was at hand. 5 Lifting up his eyes, then, and seeing that a large crowd was coming toward him, Jesus said to Philip, “Where are we to buy bread, so that these people may eat?” 6 He said this to test him, for he himself knew what he would do. 7 Philip answered him, “Two hundred denarii worth of bread would not be enough for each of them to get a little.” 8 One of his disciples, Andrew, Simon Peter's brother, said to him, 9 “There is a boy here who has five barley loaves and two fish, but what are they for so many?” 10 Jesus said, “Have the people sit down.” Now there was much grass in the place. So the men sat down, about five thousand in number. · People are drawn to Jesus. · Andrew brings resources and a person to Jesus. · The little boy showed a child-like faith to participate in the ministry of Jesus. 1. Be thankful for what you have. (John 6:11) Jesus then took the loaves, and when he had given thanks, he distributed them to those who were seated. So also the fish, as much as they wanted. 2. God sees and cares about your physical and spiritual needs. 3. God can multiply what you give. 4. God does big things with little things. 5. Seek to be a steward. · What’s mine is mine – selfishness. · What’s yours is mine – stealing. · What’s mine is His – stewarding. 7. Jesus is His own King. (John 6:14-15) When the people saw the sign that he had done, they said, “This is indeed the Prophet who is to come into the world!” 15 Perceiving then that they were about to come and take him by force to make him king, Jesus withdrew again to the mountain by himself.